There's another chance to catch last year's festive treat The Higway Rat on BBC One this afternoon at 3.15pm. The story thrilled family audiences around the world and was a ratings hit for when it was shown on Christmas Day in the UK last year. 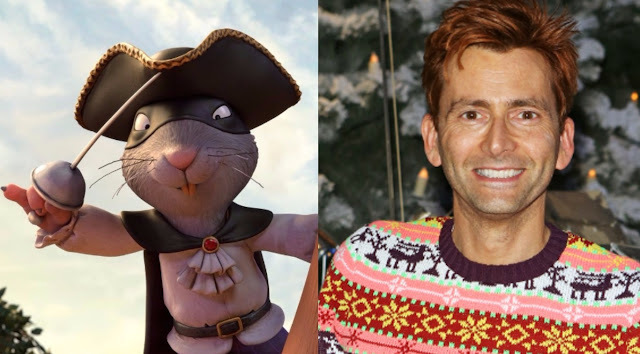 David Tennant gives voice to the ravenous rodent in a 30-minute adaptation of the enchanting picture book by Julia Donaldson and Alex Scheffler. The Highway Rat also features the voices of Rob Brydon, Nina Sosanya, Tom Hollander and Frances de la Tour and is produced by Magic Light Pictures, the team behind other Donaldson and Scheffler adaptations The Gruffalo, Stick Man and Room On The Broom.